In less than a week, Disney’s latest science-fiction adventure will hit theaters and expose us to the world of Tomorrowland. With two-time Oscar winning director Brad Bird joining, Oscar-winning actor, George Clooney, it is bound to be an incredible ride. But in a film exploring scientific curiosity along with that Walt Disney-inspired imagination, some thrilling surprises are surely in store, and now knowing that Samuel L. Jackson was almost in an awesome post-credits scene, Tomorrowland sounds even more enticing. My pitch was that there was going to be a post-credits scene in Tomorrowland and at the very end of the movie, if you watch the credits, there's a pin and you see someone picking it up. And the reveal would be that Sam Jackson, wearing an eye patch and holding a lightsaber and he looks sort of befuddled - maybe a Frozone uniform - and he goes 'I'm in this one too?' And bam, cut to black. Just take a moment to imagine that. 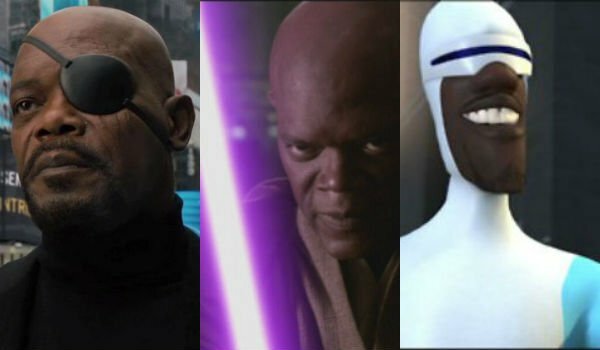 Samuel L. Jackson in a Frozone uniform (his beloved character from The Incredibles), still rocking his Nick Fury eye patch from Avengers all while holding his purple Mace Windu lightsaber courtesy of Star Wars. If I knew Tomorrowland was going to include some awesome Disney references, but Marvel and Star Wars included, I’d gladly be in attendance. While the Sam Jackson tidbit after the credits would’ve been a great promotional tactic as we gear up for Star Wars: The Force Awakens as well as continuing our high from Avengers: Age of Ultron, from the looks of previous trailers for the upcoming Disney flick, it seems as though the film will go down the more Disney Theme Park-specific world as we explore just what it means for a place ‘make dreams come true’. Tomorrowland features George Clooney alongside up-and-coming actress Britt Robertson as the two discover what lies beyond the original Disneyland. After Clooney’s character discovers a door leading to a "secret place where nothing is impossible" as a child visiting the park, the curiosity of this magical place carries over into adulthood. What Disney references will be included in the film is still yet to be discovered, though it will focus more on the history of Walt Disney. We’ll see if any other beloved characters show up, though when Tomorrowland hits theaters May 22.